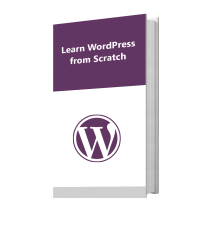 Drupal is a free and open source content management system that provides a framework for all the websites ranging from blogs to business, government websites. It has many features like interoperability, multilingual ready, easy authoring etc. that makes it a popular choice. 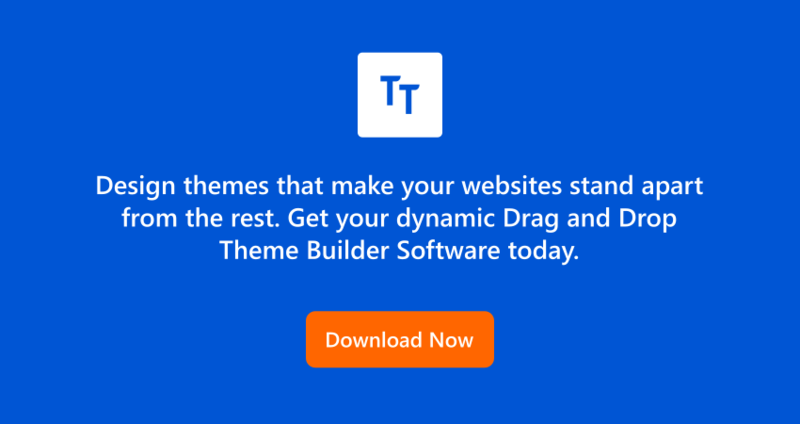 So without wasting any time here at Templatetoaster Drupal theme builder, let’s see how to Install Drupal 7 and Locally on your machine. 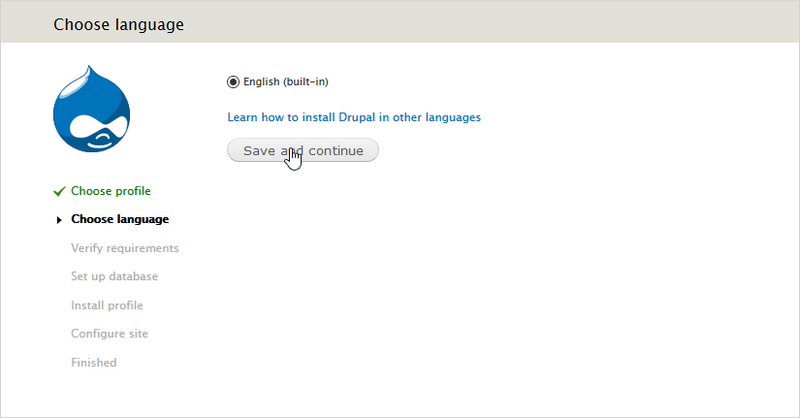 Step 1: Just have the Drupal 8 downloaded file. Now, unzip the downloaded Drupal file into ‘htdocs’ folder on your localhost XAMPP server. Step 2: Create the database in phpMyAdmin on the server and name it as that of extracted folder of Drupal 8 or as you wish to do. Step 3: Get directed to installation by specifying the extracted Drupal folder path in the URL with localhost e.g. 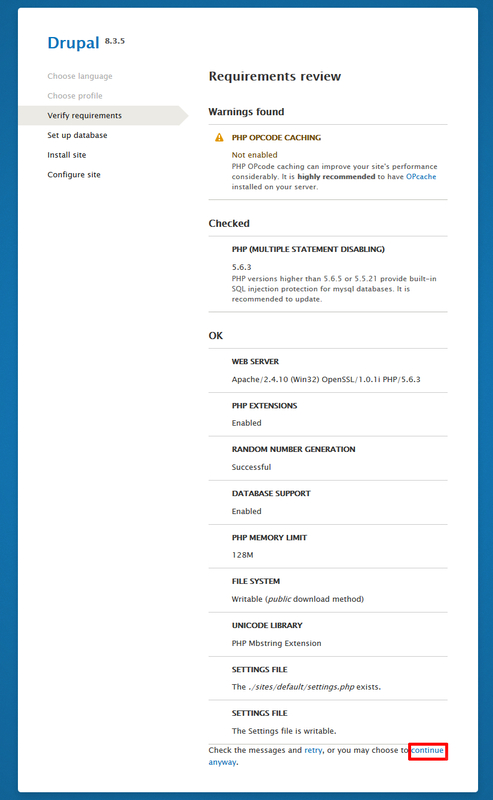 http://localhost/Drupal8.3. Now, you will be prompted by the first installation window as follows. 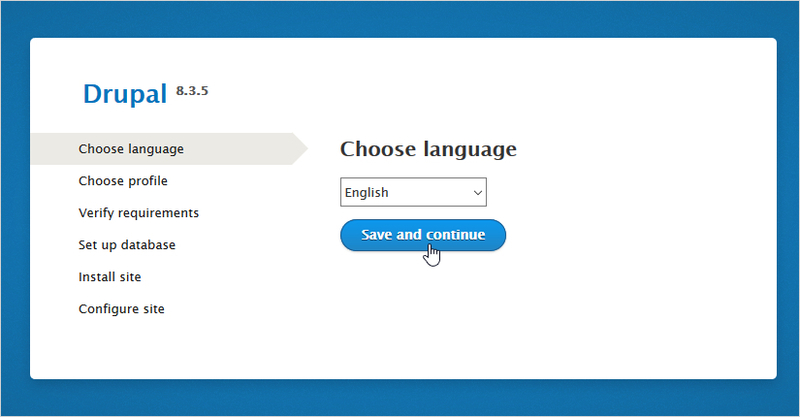 Choose the language of installation and then just click ‘Save and continue’. 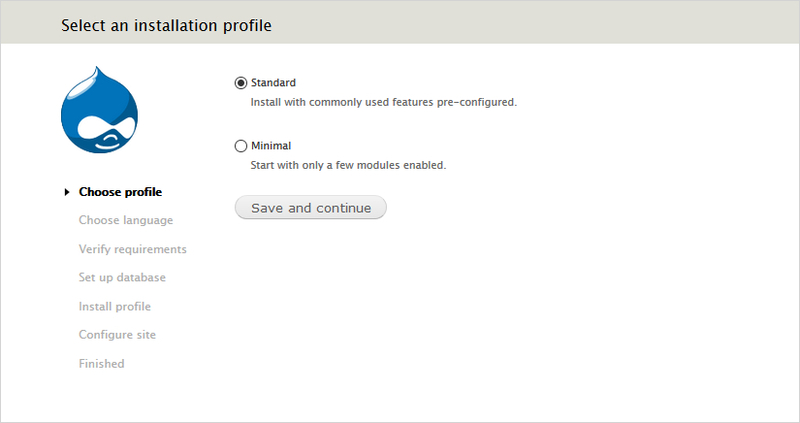 Step 4: Select the installation profile as ‘Standard’ and ‘Save and continue’ with your settings. 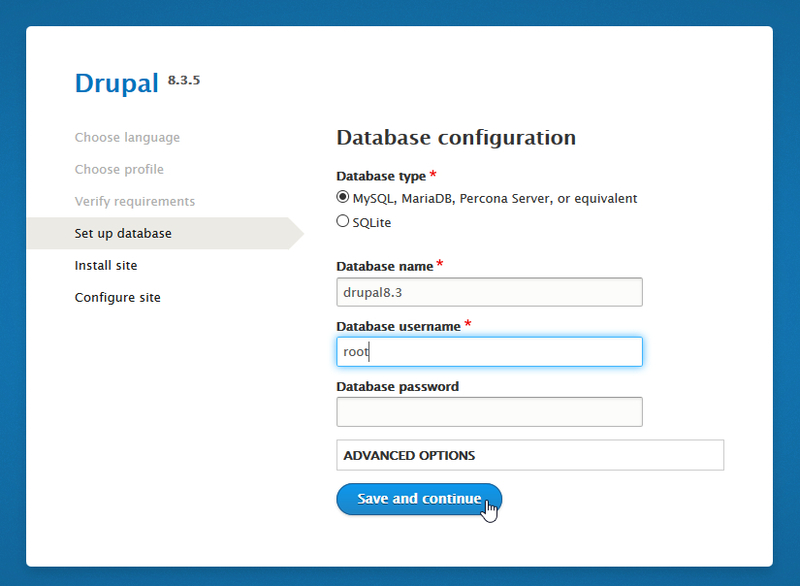 Step 6: Now, configure the Database by specifying its type, name, username, password etc. as shown below. Save all your settings by pressing ‘Save and continue’. 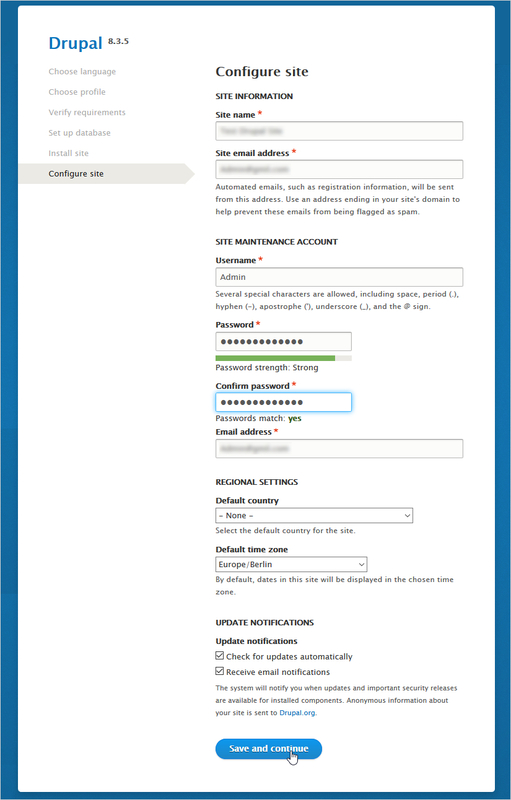 Step 7: Once Drupal 8 is installed, configure the site by filling the information about Site name, email address, particulars about Maintenance Account etc. Then ‘Save and continue’ with the settings. 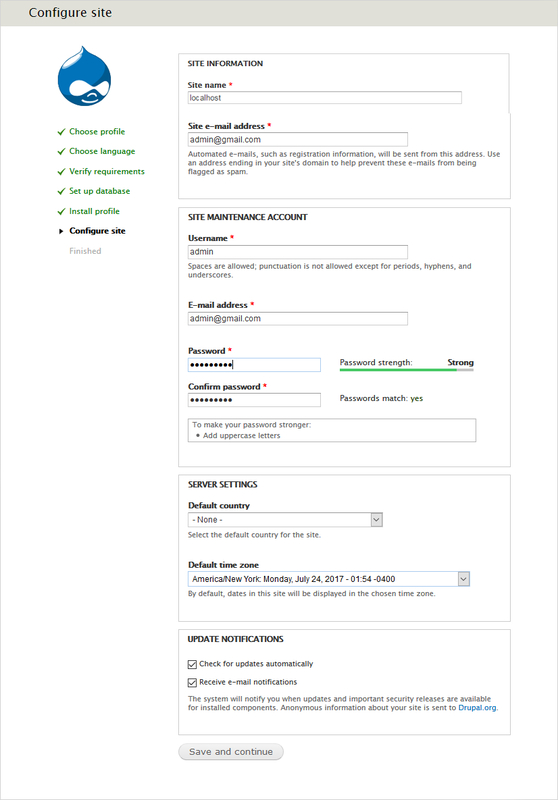 Finally, you have made all the settings required and can see your site now. 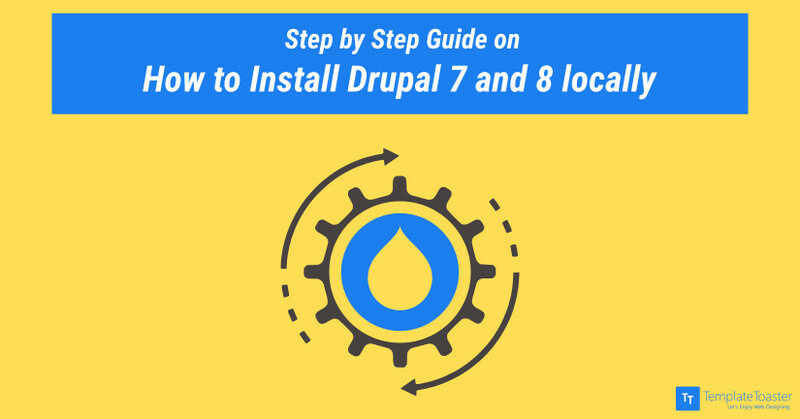 Drupal 8 is an advancement of Drupal 7. However, a number of people are frustrated with Drupal 8, due to the learning overheads to fully utilise Drupal 8. So many people still like Drupal 7. 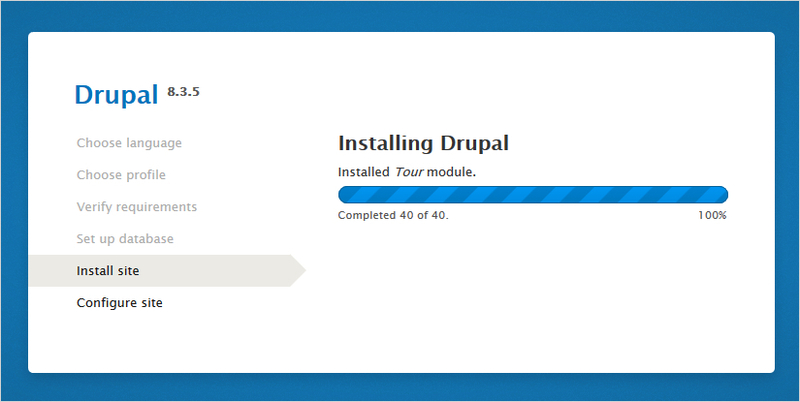 Let’s see the installation of Drupal 7. 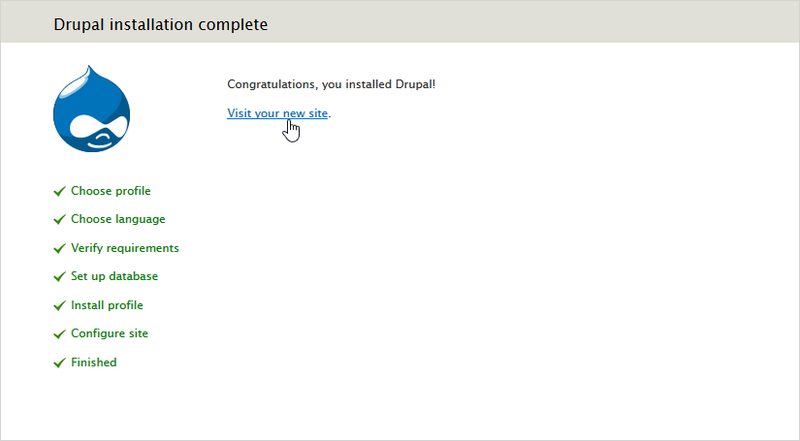 Step 1: Just have the Drupal 7 extracted folder and paste it into your localhost folder. For example, if it’s Xampp server, you will put it into ‘htdocs’ folder. 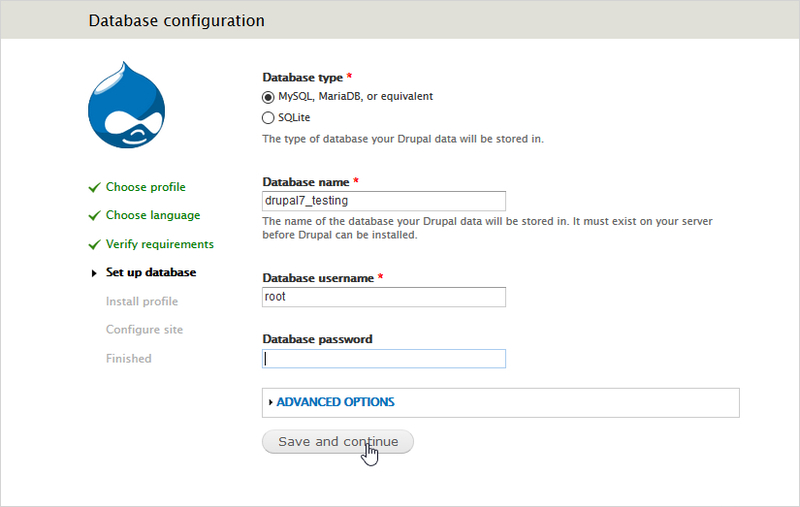 Step 2: Create the database in phpMyAdmin on the server and name it as that of extracted folder of Drupal 7 or as you wish to do. 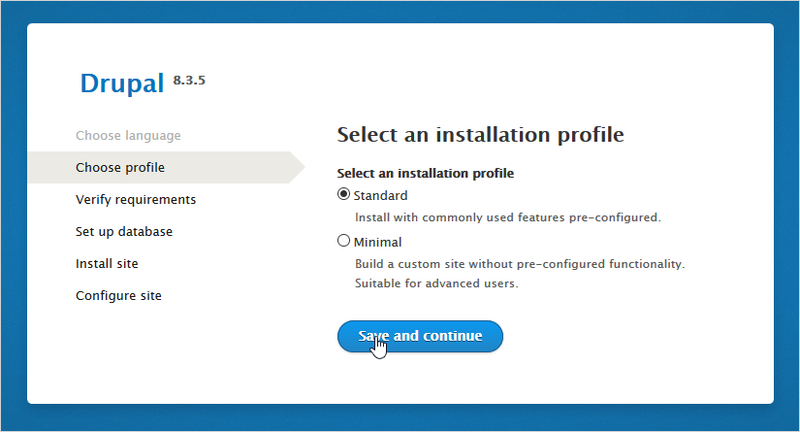 Select the installation profile as ‘Standard’ here and click ‘Save and continue’. ‘Save and continue’ with your settings. Step 8: The whole installation is finished. Step 9: Now, you can see your site. 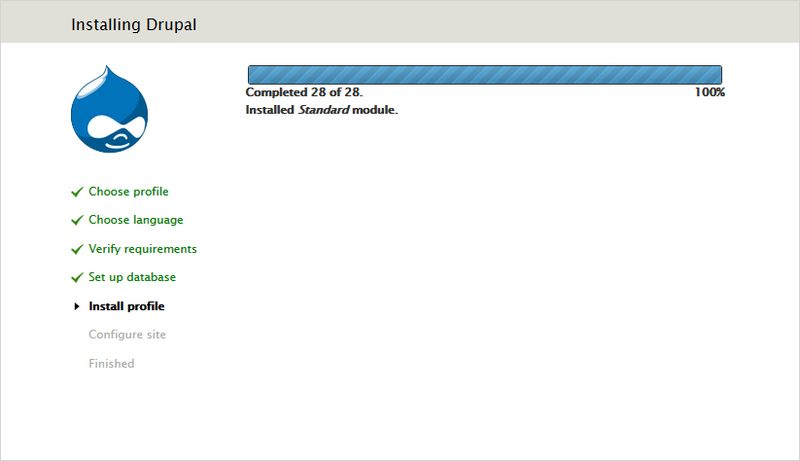 As you can see from the tutorial, installation of Drupal 7 as well as Drupal 8 is easy and manageable.Nothing complex is there. But in case, you have any problem or queries you are always welcome at Templatetoaster website builder ! !